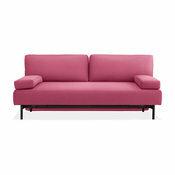 In a dark raspberry, this settee is so sophisticated. 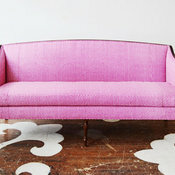 I love a punch of pink in any room, and what better way to bring it in than with a pink sleeper sofa? 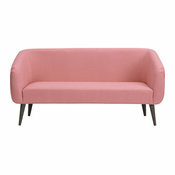 Bring home a little bit of color with soft pastels, the shade of this rosy sofa. 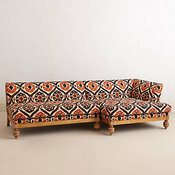 Update a vintage frame with colorful upholstery to give it new life! 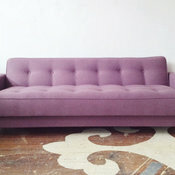 This sofa in dusty plum is absolutely stunning. 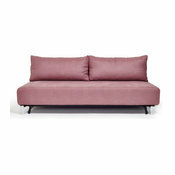 A soft purple sofa would look amazing in a gray room. 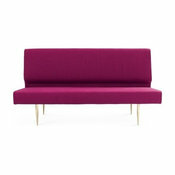 This sofa in blue and purple can be the start of a room’s color palette. 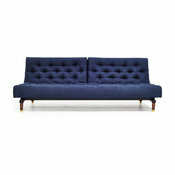 A deep indigo blue is perfect for a classic tufted sofa. 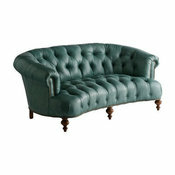 This sofa in peacock blue is so very pretty. 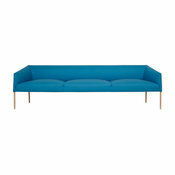 I love a strong dose of turquoise for a cool sofa. 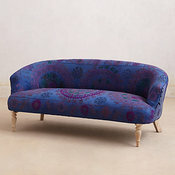 This would really pop in a black room. 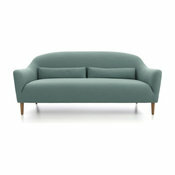 Look to furniture in soft pastels, like this dusty mint sofa, for a subtle dose of color. 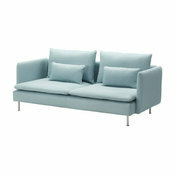 I’m loving this budget-friendly Ikea sofa in cool mint. 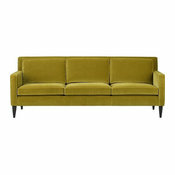 Jewel-toned sofas are the best in dark, moody rooms. 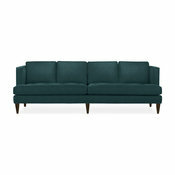 Go emerald with this sofa featuring a beautiful silhouette. Chesterfields in bright colors? Oh my! 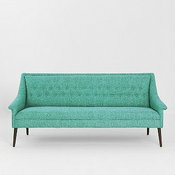 I love this one in mint. 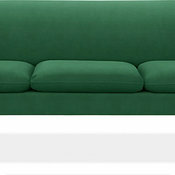 Look for grassy green sofas to brighten up a room. 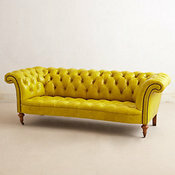 A citron sofa is so delicious. 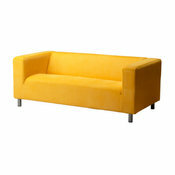 A yellow sofa? Yes, please! 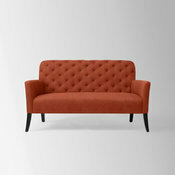 This sofa in burnt sienna is a modern classic.